Located in the beautiful Berkshire Forest Community, this Large, 3 bedroom 2.5 bathroom home is placed on a quiet, double ended cul-de-sac. 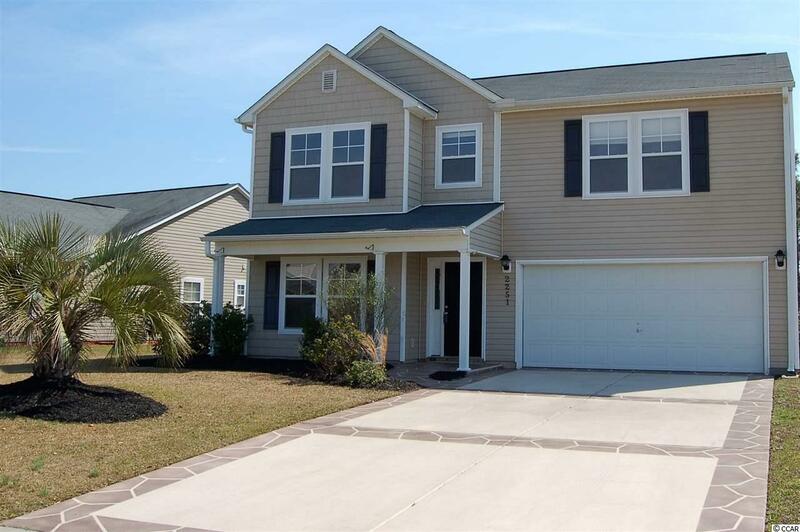 This spacious floor plan allows for comfortable living with its large bedrooms all on the second floor, a great open kitchen with lots of Brazilian cherry wood cabinets and granite counter tops, a wood burning fireplace, tiled Carolina room and fenced in back yard backing up to some wetlands. All residents of Berkshire Forest have a membership to the Atlantica Resort in Myrtle beach (free parking, beach access, indoor pools, hot tub, lazy river and indoor restrooms and showers. Community Amenities include newly renovated, luxury clubhouse with catering kitchen with a banquet room, pool table, library, and gym. Large pool with hot tub, gas grill, basketball, tennis and bocce courts, horse shoe pits, gazebos, playground, and a 32 acre fishing lake with pier and boat ramp. Low HOA. Have your Realtor schedule a showing. Very easy to see!